Where Can I Catch Fish In Galveston TX? Galveston Bay is known for the best saltwater fishing in Texas. There are scores of areas for great catch in Galveston. Most local folk, fish off the jetties or piers. Anglers, avid fishermen and fishing charters traverse the bay by boat. All find a wide variety of game fish like trout flounder, cobia and even shark. There are locations across Galveston Bay with excellent opportunities to catch fish. If you’re asking where can you find fish in Galveston, there is 600 square surface miles, with hundreds of nutrient-rich salt marsh incubators running throughout it, making Galveston Bay Garden of Eden” for the 162 species of fish who reside there. All there for your fishing enjoyment. Families can find numerous shoreline entry points if traveling by boat. Fishing piers areas known as flats make it easy for families to fish without boats. There are also plenty of recreation hotspots for family fun and sport boat enthusiasts if you’re an f and fishing piers. Many think Galveston Bay is hand down the best fishing destination on the entire Texas Gulf Coast. Anglers will also find some great fishing. Those with charter boats find some the hottest spots on the bay. When looking for game fish, water depth is always a key component. On the average Galveston Bay water depths are around nine feet, with an extremely muddy bottom and many live shell reefs. There are dozens of beaches and sandy bottom sites frequented by recreational boaters and anglers. 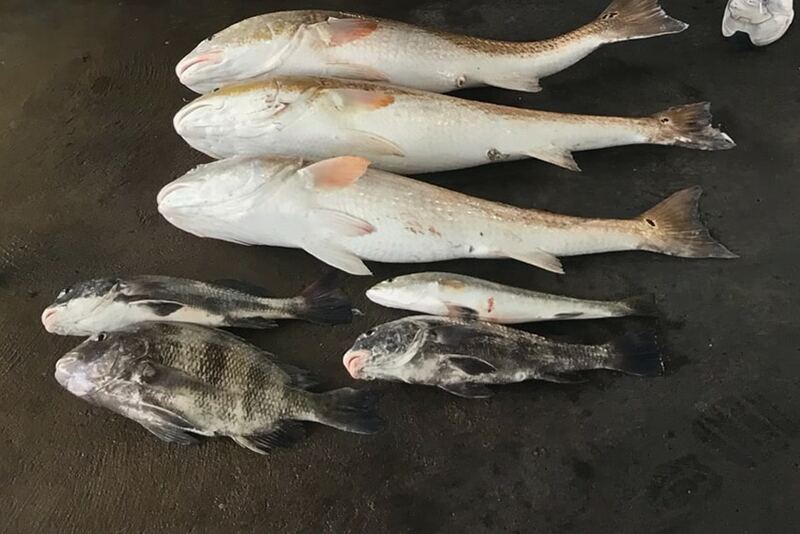 Anglers fishing Galveston Bay can also try their luck at catching sand trout, puppy drum, some shark species, black drum, golden croaker, sheepshead, catfish and gulf whiting to name a few. When it comes to finding fish in Galveston Bay Just Cast fishing Charters will sail you directly to the fish. You’ll never have to ask, “Where Can I Find Fish In Galveston with Just Cast Fishing Charters. Our expert Fishing Charter captains are highly experienced and bring all of their training to you. Families, Friends and Corporations all rely on Just Cast Fishing Charters their expertise and dead-on knowledge of where to find the fish and catch them. Just Cast Fishing Charters will set up everything for your enjoyment bring your family, friends and co-workers to get out on the water and catch fish. You show up and “Just Cast!” we do the rest! Contact us today to plan your next adventure! https://justcastcharters.com/wp-content/uploads/2019/01/Where-Can-I-Catch-Fish-In-Galveston-TX.jpg 567 850 Chris Berry Chris Berry Where Can I Catch Fish In Galveston TX?